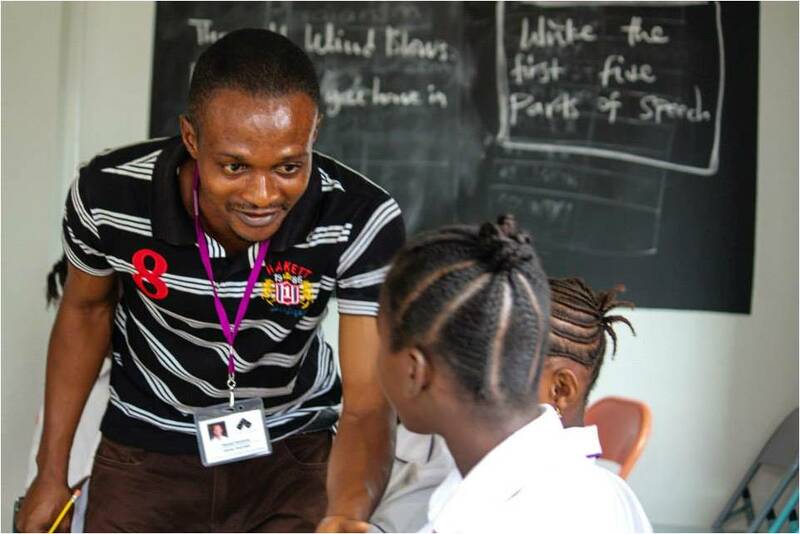 Astronomy for Literacy is a 2016 OAD funded project that focused on using Astronomy to improve literacy amongst middle school children in rural parts of Sierra Leone. Sierra Leone is a small country on the coast of West Africa. The project leader, Steph Dobrowolski, is part of the Rising Academy Network of schools which aims to improve education in Sierra Leone. Their schools began by providing emergency education to students during the Ebola crisis. They address the Global Learning Crisis – the problem of thousands of young people worldwide who leave school without literacy and numeracy skills. Literacy is a fundamental part of quality education – one of the United Nation’s Sustainable Development Goals. Teachers at the Rising Academy schools recognised the lack of literacy amongst students when they found several senior students still reading at a 2nd grade level. They also noticed a difference in the literacy levels of students transferring in to the schools and students who had been in the school for a long time. Although students could understand complex subjects in class, their performance in government standardized tests and exams was hindered by their inability to read questions and communicate their answers. To improve literacy, they turned to a seemingly unlikely place – astronomy. The project concentrated on developing astronomy-focused lesson plans for key subjects like maths, science and social science. The new perspective on the material adds an extra layer of interest for the students, which makes learning exciting. The lesson plans are well-structured and informative, helping teachers in the classrooms. Some teachers even remarked that the lesson plans helped them understand the content in a clearer way than before. These guided lesson plans are essential to the improved quality of education at the schools. The astronomy content facilitates an improvement in students’ literacy levels, because students are eager to learn and read about the topics at hand. Achieving a balance between the required curriculum and additional astronomy content was challenging, but paid off because students were excited to learn about the universe. Because astronomy is accessible to anyone with a dark sky, students required little more than stepping outside and looking up to feel inspired. Low-cost tablets – purchased using the funding from the OAD – are also being used to experiment with supplementary video and interactive materials. Like many other countries, Sierra Leone struggles with gender equality in education. According to UNICEF, only 52.1% of young women are literate compared to 70.5% of young men – something that the Rising Academy schools are hoping to change. By encouraging girls to pursue Senior Secondary education – and slowly expanding their academies to include Senior Secondary levels – they are making good progress. The above text was written by Munira Hoosain for the OAD Projects Booklet. Astronomy for Literacy is one of more than 120 projects funded by the OAD globally since 2013.